Conservation is as much about the ground-level actions taken, as it is about umbrella policy and processes. Here, we engage in conversations with the Warriors for Wildlife, those who have imbibed love for wildlife and conservation as a way of life. Prajakta Hushangabadkar is a wildlife conservation enthusiast from our very own Tiger City, Nagpur. 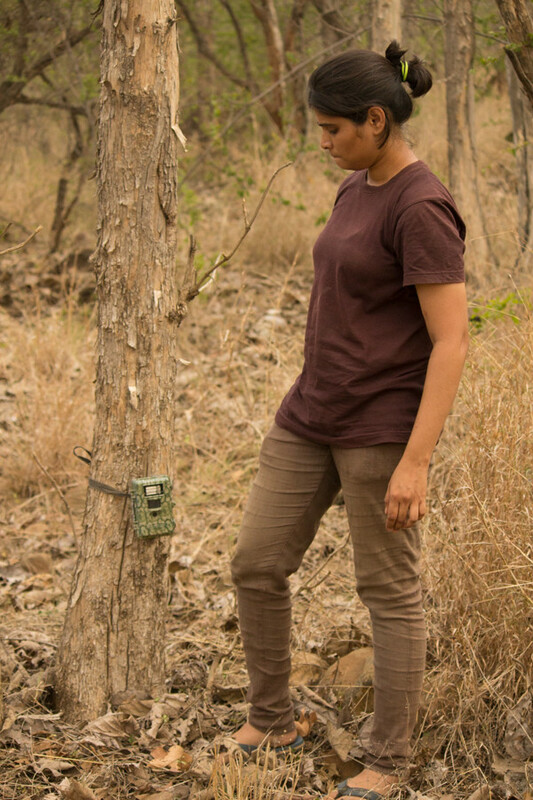 Currently working with WWF India, she has earlier worked with the Pench Tiger Reserve Forest Department in the past. Armed with a Masters in Wildlife Biology, her passion to make a difference to the natural world runs in her veins and gets her raring go and make a positive change for wildlife and environment. What is your most exciting wildlife experience? Every moment in the jungle, close to Mother Nature is exciting for me. I love the raw beauty of nature and the free spirit it confers upon me. But I guess I am greedy in that way, and tracking the Apex Predator of India i.e. the Royal Bengal Tiger in the forest is an unbeatable experience I get to do in my job and look forward to! How did your love for nature / wildlife start? I chose wildlife conservation as a career out of sheer interest that I had developed in the field. I chose to be a wildlife biologist, having always been fascinated by the beauty of the forest. But my passion was not limited to observing and enjoying nature. I felt strongly to be part of saving our planet for a better future. There are many respected senior researchers and conservationists who have inspired me throughout my journey and continue to do so every moment. I had read books and scientific publications by Dr. Karanth which gave me an understanding of the science of conservation. Another great influencer has been Mr. Reddy (Field director, Melghat) through his role in decision making, stakeholder engagement and policy making in wildlife. What challenges do u face day to day in doing your wildlife work? I do think there are challenges in the field, rather I would say these are lessons where we get to be Stronger and more determined towards working for wildlife. Some of these, faced on a daily basis are odd working conditions (like temperature and lack of water), making logistical arrangements to survive in remote areas where even the bare minimum facilities are not even available etc. I take these in stride, and rather think these are lesser challenges than city life! At the work-level, one major challenge is about how to involve the local communities in conservation work. I believe that without the support of the local communities, no conservation work can be fully successful. And I strive to connect with them to achieve positive progress. What inspires u to work for wildlife every day? My house is in the out-skirts of the town so we always had peafowl, jackals and hare around us, I have seen them coming around my home during the summers. My father always had a soft corner for animals so we used to keep water for them in a tank and observing them was our favourite pastime. When I was in 12th standard, I rescued my first snake (a green Keelback) and there my journey for wildlife began. Two most dedicated animal rescuers from Amravati- Sawan and Raghvendra have given me lessons in wildlife conservation. I still remember in my graduation 1st year I went for my first tiger census where I stayed in the core area of Melghat Tiger Reserves at the forest protection camp. With no electricity and lavatory rooms and we used to cook on a “chulha” n sleep on a machaan under the skies. It was here that I learnt how to recognise the indirect signs of animals. I was the only girl in a group of 10, yet this did not matter. Because of Sawan da I got the confidence and skill of adjustment with all odds. Later, choosing it as a career option was a natural progression, and I pursued my Masters in Wildlife Biology to contribute on the ground. What can common people do in their daily life to help the cause of conservation? “Recycle, Reduce and Reuse”- most of us are aware of this mantra but very few of us act on it. Small steps like use of sustainable energy, saying no to plastic and use of public transport can go a long way. There is also a need to speak up on behalf of trees and animals— illegal tree cutting and wildlife trade needs to be addressed. Keeping exotic pets (like red ear terrapin) at home and later releasing them in nature can create problems for local species. Say no to exotic pets that are protected under Indian wildlife act and raise a flag if you notice around you. For this, every person should educate himself or herself aware about wildlife laws, everything is available online today, use that information to protect wildlife! And use it not only for yourself, but share the importance of nature conservation with everyone around you. As we have army on borders to protect us, in the same manner we have Green Soldiers working in the forests 24*7 to protect our natural wealth. Respect them when you enter in the forest by following the rules. Try to know about their role in protecting this planet. Enjoy the beauty of our forests, try to observe birds and animals in their natural habitat. There are more amazing species in the forest than the tiger. Even though I work for tiger I always feel that there are many other species that need the attention of common people, even in your own society. Loving and appreciating nature is the first step to doing your bit in protecting it.